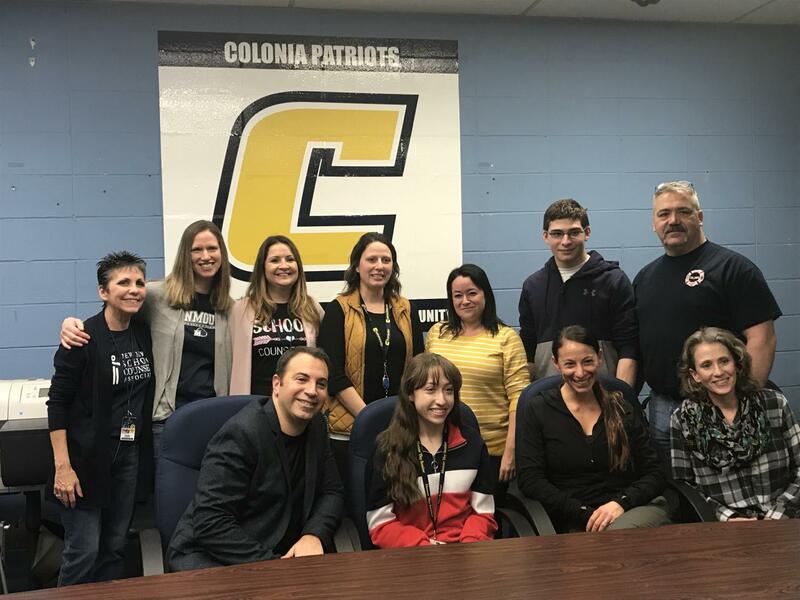 With the support of her dance teachers, family members, and the CHS staff Sarah will be able to turn her dreams into a reality. Fourteen years of dancing paid off for Sarah Pereira when she was awarded a scholarship to La Roche College. The Pittsburgh-based school selects ten dancers each year to receive a $64,000 merit scholarship. Maria Caruso is the director of the dance department at La Roche. She hosted a dance class on February 5 at Woodbridge Middle School open to Woodbridge Township students of many ages. One dedicated dancer out of all that attended had the chance to win a scholarship at the end of the night. Caruso started off the class with a classical ballet barre. Then, the dancers followed up with a contemporary class. All of the dancers viewed a video on the programs at La Roche as well as a summer intensive program. By the night’s end, a select few dancers were chosen to attend her summer intensive program with a scholarship. Sarah Pereira received a huge surprise a few days after the dance class. She was called down to the school’s conference room. “It was the middle of the day. My family was sitting there, the mayor was sitting there, and so were my teachers,” she recalls. In this year’s spring musical, Pereira stars as one of the six merry murderesses in Chicago. Outside of school, she is on the competition team at Dancin’ in the Spotlight. Each week Pereira spends a great deal of her time inside the studio or on stage learning new choreography. Her 15 years of dancing will continue on for many years to come. Starting in September this year she will be attending La Roche College of Dance. After graduation, she plans on teaching dance to special education students.